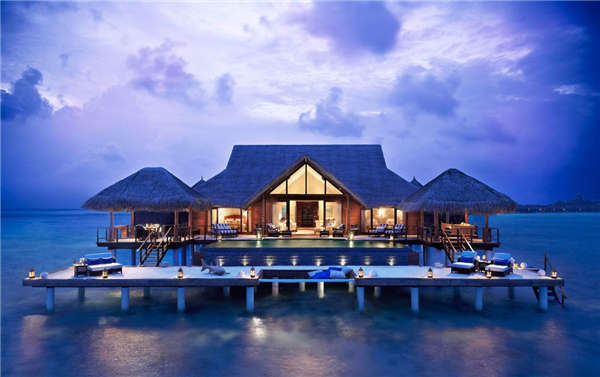 When it comes to water huts, the sights imagined in people's minds are beautiful. But there is still a lot of doubt as to whether a house can be built safely on the water. Then let the professional water wooden house manufacturer - Zhejiang ZhongYa Industrial Co. Ltd answer one by one. The first is the wooden house part of the floating houses. Compared to the ground, the water huts are more likely to encounter more natural disasters - like the wind and the light on the water are stronger than the land. 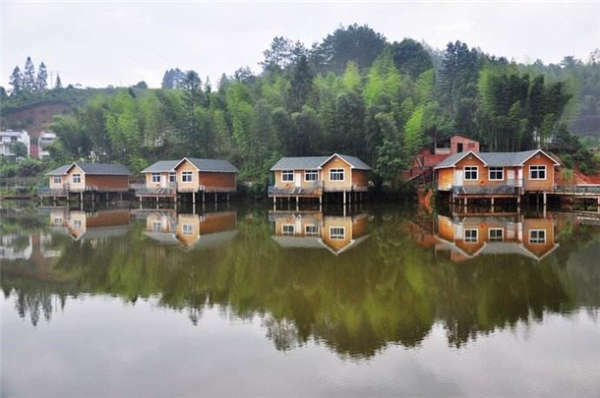 To this end, our wooden house construction requires better materials, like our European and American Australian wooden houses to build water wooden houses, all of which are treated with Russian scotch pine, so don't worry about the moisture of the sea. Its solid wood house itself is earthquake-resistant, insect-proof, durable, and fire-resistant (now the new wooden houses have this, unlike ancient wood, which is afraid of fire.) Maintenance is carried out every two years. Maintenance mainly refers to wall paint painting (paint is water-based) Wood lacquer, environmental protection and no smell), maintenance is to be afraid of the wall because of the long-term at sea, the intensity of ultraviolet light, the wall cracking phenomenon. Guaranteed longer life. A suitable buoy is the basis for the construction of a good water house. 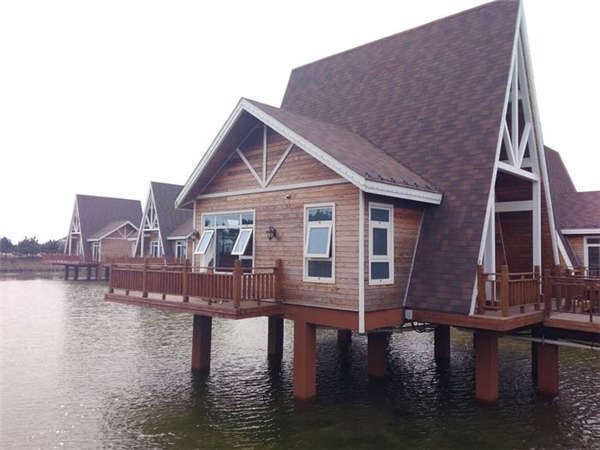 First of all, the material of the floating wooden house float is resistant to ultraviolet rays, sea water, antifreeze, chemicals, oil stains and the like. And he can tolerate the temperature difference from high temperature to 190 ° C and low temperature to -50 ° C.
As the foundation of the wooden house, of course, the material itself is an environmentally friendly material, and it does not produce other toxic chemicals. In the absence of external damage, he can withstand more than 15 years, and the maintenance cost in the later period is also small. It is worth more than 15 years as a water lodge.